Kansas City, Mo. 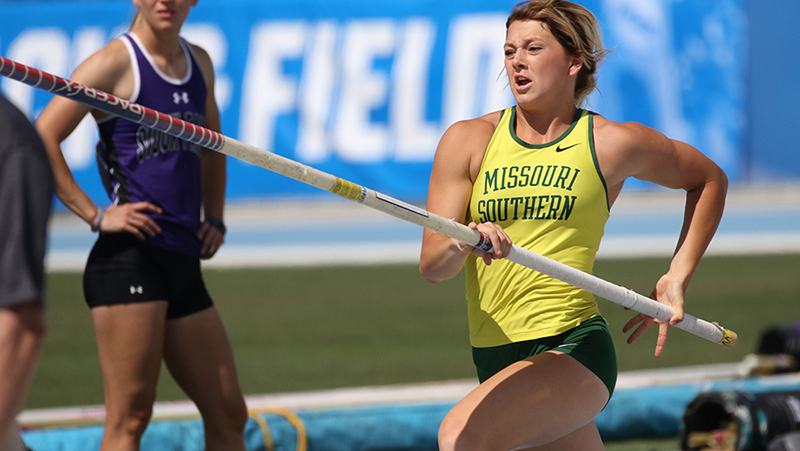 — Missouri Southern sophomore pole vaulter has been named the MIAA Field Athlete of the Week, the league announced today. Presley, a native of St. Clair, Mo., broke her own school record in the pole vault, increasing her own national lead in the event as the womens track and field team competed at Pittsburg State this past weekend. Presley hit a mark of 14 feet to win the pole vault and increase her NCAA automatic qualifying mark and national lead in the event. The mark ranks tenth nationally in the NCAA in all divisions.